Sami Blod (Sami Blood – English) won the Jury Prize for best film at the Créteil International Film Festival that ran from 10- 19 March. The film was directed by Amanda Kernell in a co-production with Denmark, Norway and Sweden. Kernel attended the Danish Film School. Sami Blod begins in modern times where retired teacher Christina (Maj-Doris Rimpi) reluctantly attends the funeral of her sister in Northern Sweden with her son and granddaughter. When she arrives she distances herself from the people who are Sami’s and refuses to speak their language. She walks off to a hotel and refuses to live with them and to participate later in reindeer herding. Then there is a flashback to the 1930’s in Sweden where two sisters are sent to boarding school to learn Swedish customs. 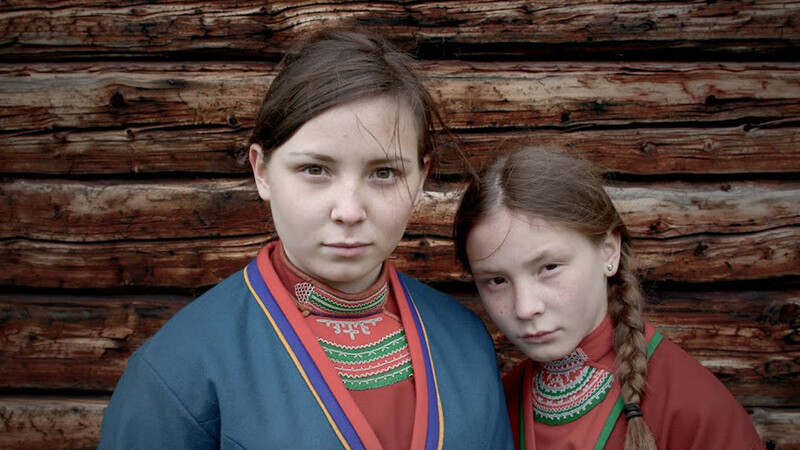 Elle Marja ( Lene Cecilia Sparrok) and Njenna (Mia Erika Sparrok) – both sisters in real life undergo blatant discrimination in the form of heckling by the villagers, and are subjected to race biology examinations, a series of photographs and measurements to ascertain Sami differences from ethnic Swedes. Christina right away takes issue with this and instead tries to ignore her heritage and her sister to blend in with the Swedish society. She is willing to go to any lengths for this to happen. First she attends a dance and becomes interested in a young Swedish man, finds out where he lives with his parents and asks to spend the night while he is away. Even in her attempt to suppress her identity she is subjected to further scrutiny by young students such as being ask to “yoik” – that is sing the traditional and sacred form of song of the Sami people. Lene Cecilia Sparrok stands out in this role as Christina or Elle Marja. Her ability to authenticate the feelings of this young 14 year old women – the eagerness to belong and the shame from feelings different is heart breaking. This is Sparrok’s film debut and there is every reason to believe from this authentic and talented performance that she will be offered future dramatic roles. Kernell is correct involving Sparrok in nearly every scene of the film for it is through Elle Marja’s evolution into Christina that we witness the sadness of a beautiful and bold group of people that is put to ridicule by the dominant culture and how its specialness is wiped away as the young woman turns away from her people and from herself. "Sami Blod" is an homage to the Sami people, the indigenous people that live in Sápmi - the Northern Scandinavian countries and coast of Russia, and their colonial appropriation to conform to the dominant culture. The modern day Sami were not allowed to speak Sami in school and were often shamed. Yet, archeological evidence from the Viking and early medieval period demonstrates that “the relationship between the Sami and Nordic populations was based on cooperation and mutual respect rather than exploitation and harassment” (Odner 1983, Hansen and Olsen 2004). Shot in seven weeks it was usual for Kernell to have 13 takes for each of the scenes, primarily to make the film authentic for the Sami people.